Тема в разделе "HYIP от 16% до 60% в месяц", создана пользователем All-HYIPs.info, 8 апр 2019. Согласно статистике, 90% населения планеты пользуются мобильными телефонами. Разработка различных программ и игр для этих телефонов - неотъемлемая часть этого бизнеса, позволяющая заработать как разработчикам, так и каждому инвестору, который вносит вклад в его развитие. 07.04.19 21:49 Transfer Sent Payment: 60.00 USD to account U20995029 from U1294xxx. Batch: 254762941. Memo: Shopping Cart Payment. Deposit to Dollar Play LTD User allhyips. 09.04.19 03:16;Account;Receive;Received Payment 0.99 USD from account U20995029 to account U1294000. Batch: 254941638. Memo: API Payment. Withdraw to allhyips from Dollar Play LTD.
10.04.19 03:22;Account;Receive;Received Payment 1.00 USD from account U20995029 to account U1294000. Batch: 255109444. Memo: API Payment. Withdraw to allhyips from Dollar Play LTD.
12.04.19 03:44;Account;Receive;Received Payment 1.00 USD from account U20995029 to account U1294000. Batch: 255434692. Memo: API Payment. Withdraw to allhyips from Dollar Play LTD.
11.04.19 02:55;Account;Receive;Received Payment 0.99 USD from account U20995029 to account U1294000. Batch: 255270733. Memo: API Payment. 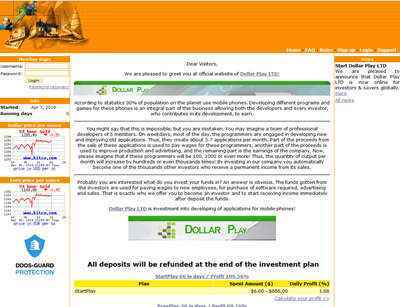 Withdraw to allhyips from Dollar Play LTD.
14.04.19 03:07;Account;Receive;Received Payment 0.99 USD from account U20995029 to account U1294000. Batch: 255717522. Memo: API Payment. Withdraw to allhyips from Dollar Play LTD.
16.04.19 03:13;Account;Receive;Received Payment 0.99 USD from account U20995029 to account U1294000. Batch: 256003673. Memo: API Payment. Withdraw to allhyips from Dollar Play LTD.
15.04.19 03:11;Account;Receive;Received Payment 1.00 USD from account U20995029 to account U1294000. Batch: 255835846. Memo: API Payment. Withdraw to allhyips from Dollar Play LTD.
17.04.19 03:19;Account;Receive;Received Payment 1.00 USD from account U20995029 to account U1294000. Batch: 256176978. Memo: API Payment. Withdraw to allhyips from Dollar Play LTD.
20.04.19 03:24;Account;Receive;Received Payment 1.00 USD from account U20995029 to account U1294000. Batch: 256646647. Memo: API Payment. Withdraw to allhyips from Dollar Play LTD.
21.04.19 03:01;Account;Receive;Received Payment 0.99 USD from account U20995029 to account U1294000. Batch: 256760784. Memo: API Payment. Withdraw to allhyips from Dollar Play LTD.